Another fantastic quick review provided by Sheri, whose daughter is allergic to dairy and egg. Tokyo Dining has become our traditional “final stop” of our Disney vacations. It is a lovely restaurant with a calm, serene atmosphere which is welcomed at the end of what can be a hectic stay. If you would like to review Tokyo Dining or any Disney restaurant, submit a food allergy dining Quick Review. My husband and I had a delicious dinner at Tokyo Dining in Epcot last night (12/22)! I had contacted the Disney Special Diets team in advance and notified them of my food allergies and food intolerances. When we had been shown to our table, the manager of the restaurant came to the table and asked what I would like to order and wrote down my list of allergens. She personally brought the order to the chef and then personally brought the food to our table to ensure that the order was correct and accurate. 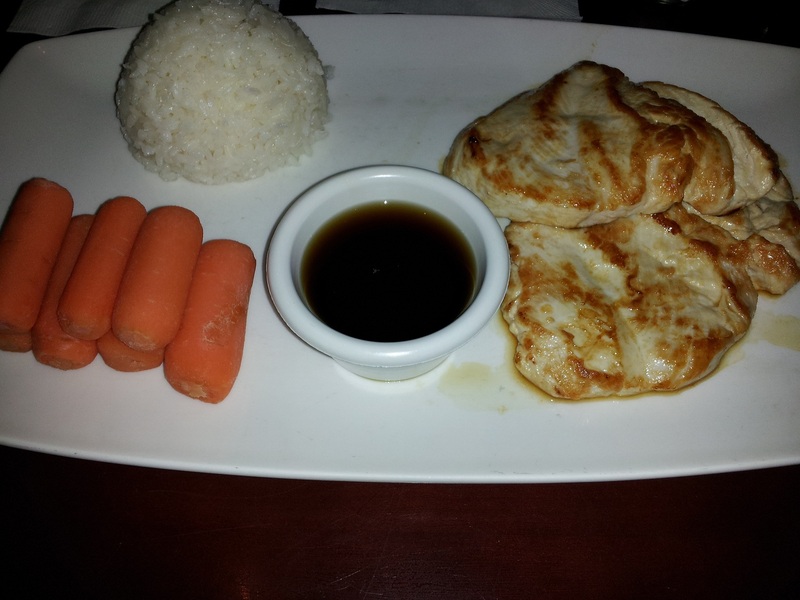 I ordered grilled chicken, steamed white rice, and cooked carrots. I asked if it was possible to get some sesame oil to put on the grilled chicken for flavor and so they also brought me some sesame oil on the side. The food was absolutely delicious and most importantly it was a safe meal! My husband said that he wished he had ordered what I had because it looked so good! I did not get sick afterwards and I have never had a reaction from a meal at Disney because they have excellent customer service for guests that have food allergies and intolerances. I highly recommend this place to eat if you have multiple food allergies and intolerances like I do because they were very accommodating!